We don't endorse and/or vouch for any information they are putting on their websites, by no means do we stand behind them. They are for informational purposes only. We post items here that may be of interest to our members and the public. The NAMI Blog is our way of getting tips, research, information and messages of hope to you. We have announced our 2019 themes. Write for us today! Dr. Omar Reid, Sekou Mims, and Larry Higginbottom are co-authors of a collective work entitled Post Traumatic Slavery Disorder. Our primary reason for writing this book was to begin the process of bringing about a psychological healing through discussion, training and teaching. This book was designed to create a new lens for our peers, client's, educators and youth workers to assess and counsel self-destructive behaviors. Tuesdays: 2:00 - 3:15 p.m.
Wednesday: 4:00 - 5:10 p.m. Please Call Ahead to Verify Times! An open ended support group for anyone experiencing depression / bipolar symptoms. The Garden ? 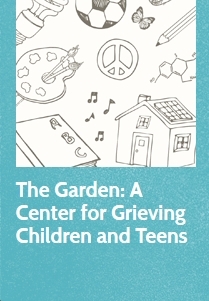 A Center for Grieving Children and Teens is a non-profit agency providing bereavement support to young people and their families, a place to talk about loss and help parents and guardians learn how to help their children through their grief. Their mission is to create the world’s best mental health and wellness programming, free to view, free to share and commercial free, for anyone with an internet connection. MHC has already been seen in 140 countries. Incorporated in 1878, MSPCC serves children and families across Massachusetts with a range of services designed to respond to the individual needs of infants, children, adolescents and their families. In addition, MSPCC has long been a voice for children and families, advocating for laws on their behalf. MSPCC is licensed by the Commonwealth of Massachusetts. 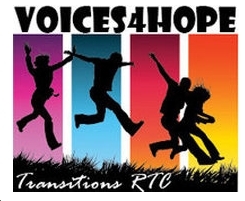 Through facilitated support groups Rick’s Place offers grieving young people and their families a place to remember their loved ones and to avoid the sense of isolation that such a loss can produce. SSI/SSDI Outreach, Access, and Recovery (SOAR) is funded by the Substance Abuse and Mental Health Services Administration (SAMHSA) and is a national program designed to increase access to the disability income benefit programs administered by the Social Security Administration (SSA) for eligible adults and children who are experiencing or at risk of homelessness and have a serious mental illness, medical impairment, and/or a co-occurring substance use disorder. Trauma Mamas is meeting at 10:00 a.m. on the third Thursday of each month. For caregivers raising children with histories of early childhood trauma. support. The group is open to parents with children of all ages, all faiths. (at this time childcare is not available). lesbian, gay, bisexual, transgender, queer & questioning youth. Researchers at Boston University are conducting a study examining exercise and cognitive remediation for the treatment of schizophrenia and bipolar disorder. Important and valuable clinical research is happening in Massachusetts. Local clinical research studies are looking for eligible participants; children, adolescents and adults are needed. Click here to see what clinical research studies are being conducted. Click here to read a guide to learn more about participating in a mental health clinical research study.